January 2018. Dr Tania Rivera was featured in San Diego Magazine “Shaping San Diego. October 2017. 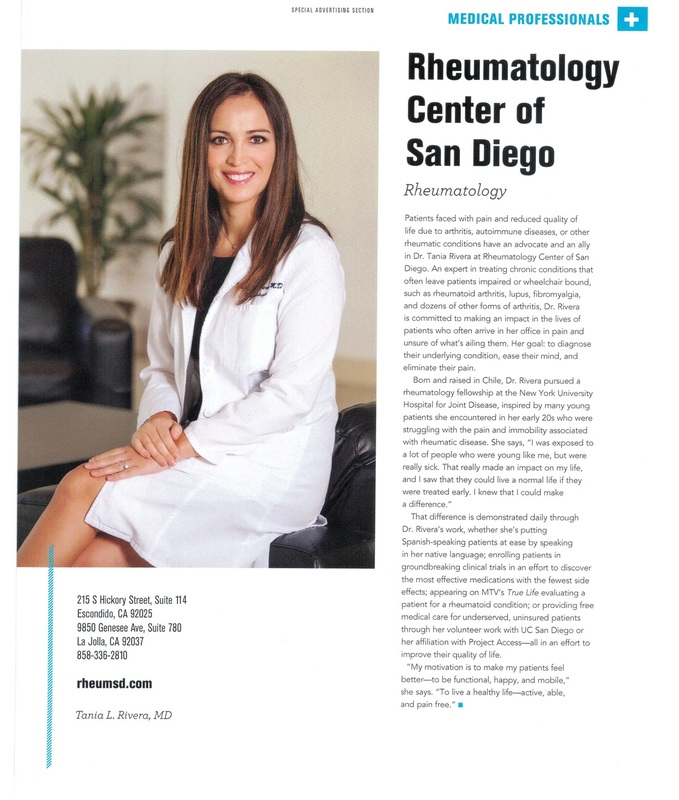 Dr Tania Rivera was featured in San Diego Magazine Top Doc issue. Lupus video from Tania Rivera on Vimeo. For subtitles in English please activate closed caption by clicking on CC on the right lower corner of the video. June 2015. 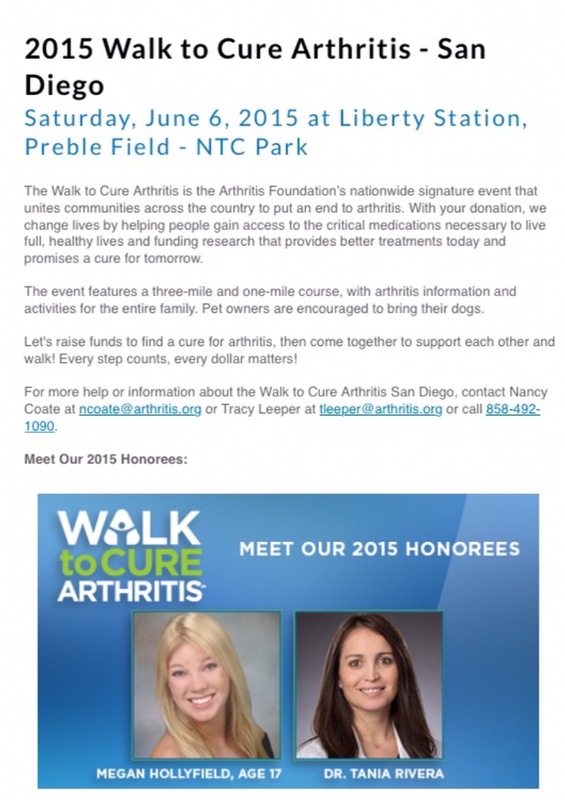 Dr Tania Rivera as Medical Honoree for the 2015 Walk to Cure Arthritis in San Diego.